This music has charm, wit and is full of unexpected harmonic twists. 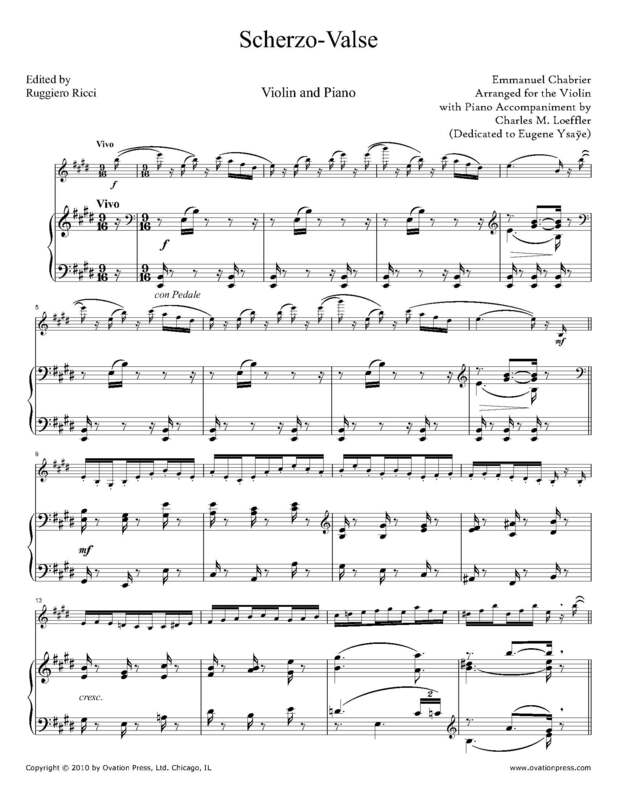 Arranged for violin and piano by violinist and composer Charles M. Loeffler, the Scherzo-Valse is the last of ten pieces entitled Pièces pittoresques which Emmanuel Chabrier composed in 1880 during a convalescent holiday at the coastal resort of Saint-Pair. At the premiere in 1881, César Franck is reported to have said that the audience "had just heard something exceptional" in Chabrier's work which linked "our own time to that of Couperin and Rameau."